We specialize in the medical and surgical management of sight threatening diseases that affect the retina, vitreous and macula, such as macular degeneration, diabetic retinopathy, retinal vascular occulusions, retinal detachment, uveitis, and other vitreoretinal conditions. 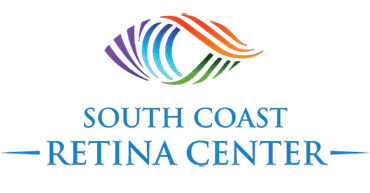 At South Coast Retina Center, our mission is to provide our patients with the highest level of service and the pest possible current medical and surgical treatment options to prevent, preserve and improve vision. * We provide all current treatment options for macular degeneration, including intra-vitreal injections of Lucentis, Eylea, Avastin, Ozurdex and continue to incorporate additional FDA approved medications to advance the treatments. * We offer Cryotherapy, laser and steroid treatments, including Photodynamic Therapy. * We offer state-of-the-art diagnostic technologies including Optical Coherence Tomography, Ultrasound Biomicroscopy, and Flourescein Angiography and Autoflouresence Imaging. * The majority of our surgical cases are performed with micro-incision “suture-less vitrectomy”, allowing for faster visual recovery and less postoperative inflammation and irritation. Often, it is difficult to distinguish which eye has had surgery within several days postoperatively. We have incorporated a new Electronic Medical Records system to provide paperless charts with the goal of improving efficiency and access for patients, while ensuring privacy of their medical history. Test results can be reviewed with the patients at computer terminals located in each room. Our practice is active in national clinical trials which focus on new treatments that may help to preserve vision.